California is well-known as having some of the strictest gun laws in the nation. The state is also the first and only to use the Armed & Prohibited Persons System (APPS) database to identify individuals who were allowed to buy firearms and then, later, legally barred from owning them. Now, the system that the NRA loathes so much has paid off, big time. 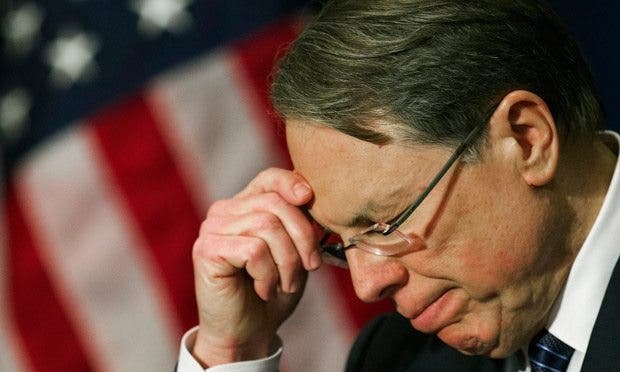 On Wednesday, Attorney General Kamala D. Harris announced that California Department of Justice agents seized more than 500 firearms from a mentally ill man who was prohibited from owning guns. Albert Sheakalee, 59, was arrested on November 12, for illegally possessing firearms. According to the Fresno Bee, State DOJ agents raided his house and found 88 shotguns, 209 handguns, 10 assault weapons, and 234 rifles. He also stockpiled an unbelievable amount of bullets: 181 standard capacity magazines, 10 high capacity magazines, 100,521 rounds of various ammunition. According to authorities, Sheakalee was in the APPS database because of a mental health hold that prohibited him from owning firearms. He was released on an $11,000 bond, but still has not been charged with a crime according to Fresno County Superior Court records. Steve Wright, an assistant district attorney, said the Fresno County Prosecutor’s Office has not received any paperwork from the State DOJ. In addition to tracking mentally ill people, the APPS system identifies pthose who are barred from owning firearms due to felonies, domestic violence restraining orders or violent misdemeanors. The system began operating in 2007 but has improved in recent years, thanks to Democrats in the state. In 2011, AG Harris sponsored a bill to allow the DOJ to use regulatory fees collected by gun dealers to pay to enforce gun laws and run the APPS. The bill passed and went into effect in 2012. The next year, in 2013, Harris sponsored another bill to appropriate $24 million in funding from gun dealers to pay for the APPS program. This bill also passed and went into effect in 2015. …in the last two years, the Department of Justice has doubled the average number of guns seized annually and increased the number of investigations per month by nearly 300 percent, allowing special agents to conduct 17,465 investigations as of Oct. 30, 2015. In spite of all of this, the NRA is still painting it as a violation of the Constitution. Chuck Michel, one of the National Rifle Association’s top lawyers, told California gun owners not to cooperate with police if their gun shows up at a crime scene. He claimed that the APPS system was illegal and just a way for prosecutors to target lawful gun owners. This is a perfect example of the NRA fighting against reasonable gun control for no logical reason. The system only tracks specific types of people; these are people who everyone else agrees should not be allowed to own firearms in first place. In the most recent case, a mentally ill man had an arsenal in his house and if the NRA had its way, he would still have all of those guns. It should also be noted that this man had no prior criminal record, so in a red state he’d be allowed to amass enough weapons to arm a small militant group and nobody would be the wiser. Fortunately for the people of California, they are not governed by an army of ammosexuals who are in the pockets of the NRA. Now, if only we could implement a similar database nationwide we might stop having mass shootings week after week.